The 2018 Honda Civic Type R and 2018 Honda Accord have each earned a “Best Car to Buy” award this week from two separate publications—Motor Authority and The Car Connection, respectively. The Civic Type R, which just went on sale in the United States last week and whose engine also became available to customers at the end of last month, beat cars the likes of the Porsche Panamera, Lexus LC 500, and Kia Stinger GT to become the “Best Car to Buy 2018” in Motor Trend’s annual competition. Motor Authority praised the Civic Type R for its drivability and for offering an impressive level of sportiness that somehow doesn’t compromise comfort or practicality. Though the car has front-wheel-drive (FWD) and Motor Authority described it as “the most fun you can have in a front-drive car,” it also noted the car barely felt as though it had FWD at all, based on its agility in corners. Its editors also loved the fact that it came with a six-speed manual, unlike so many modern sports cars. 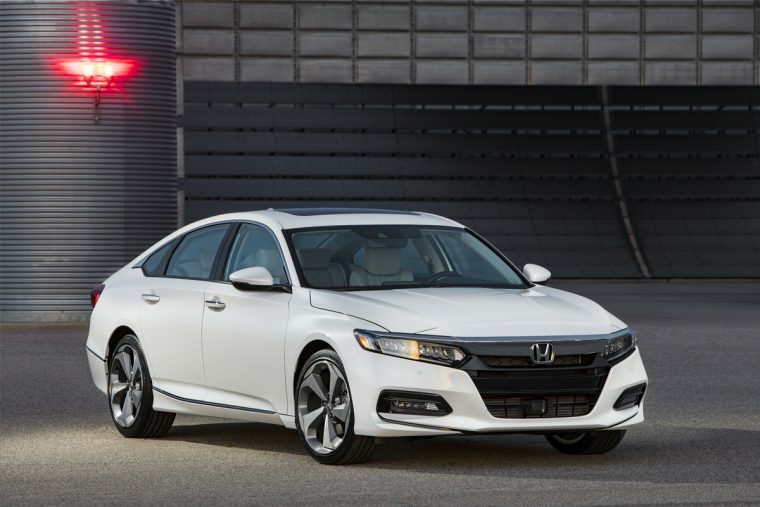 The 2018 Honda Accord was meanwhile named the “2018 Best Car to Buy” by The Car Connection. The Accord entered its 41st year with an all-new, 10th-generation model powered by a 1.5-liter turbo, with a 2.0-liter turbo to arrive in December and a hybrid powertrain to come in early 2018. The Car Connection’s automotive experts called it the winner of this year’s competition on the basis of its style, comfort, quality, performance, fuel economy, and features—particularly its numerous advanced and standard safety equipment. Car Buying Strategies: Is leasing right for you?